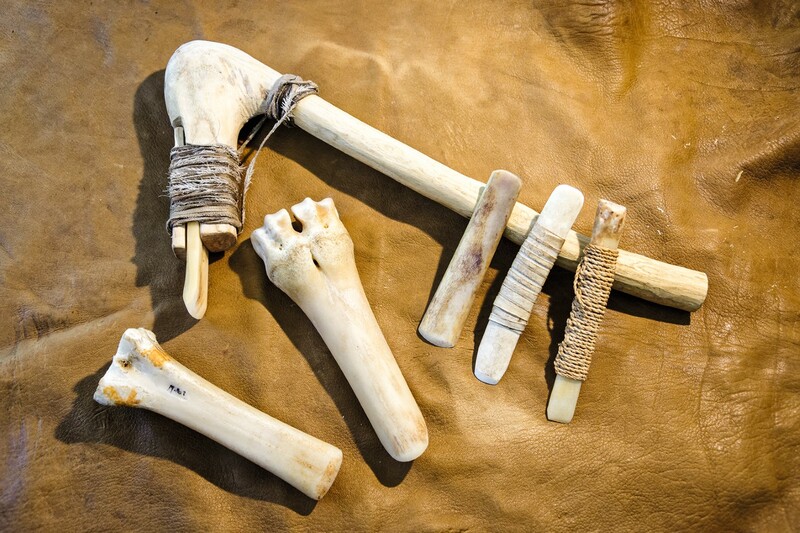 From the sewing needle to the spearhead to the hatchet - bones and antler are important raw materials in the prehistory, to make vital tools but also pretty jewellery out of it. Learn and experiment with our Stone Age expert! Even in the Stone Age 6000 years ago, today's Europe combined a trade in raw materials. Flint, copper and amber, in later times tin, glass, iron and textiles were traded for long stretches. Experimental archaeology explores the skills for the extraction and processing of these raw materials. Demonstrations give a particularly vivid picture of the research results for young and old. The project includes the series of events "Experimental Archeology", in which specialists from various European countries present their findings and experiences - participation is welcome. At the same time, teaching stations are being developed to serve sustainable mediation. The series of events will be supplemented by a meeting of the European Association for the Advancement of Experimental Archeology (EXAR), which will enable the exchange of the latest research approaches on a scientific level. The project is a contribution to the European Year of Culture 2018 "Sharing Heritage" and is funded by the Federal Government Commissioner for Culture and the Media (BKM).